NOTE: This event has already taken place. 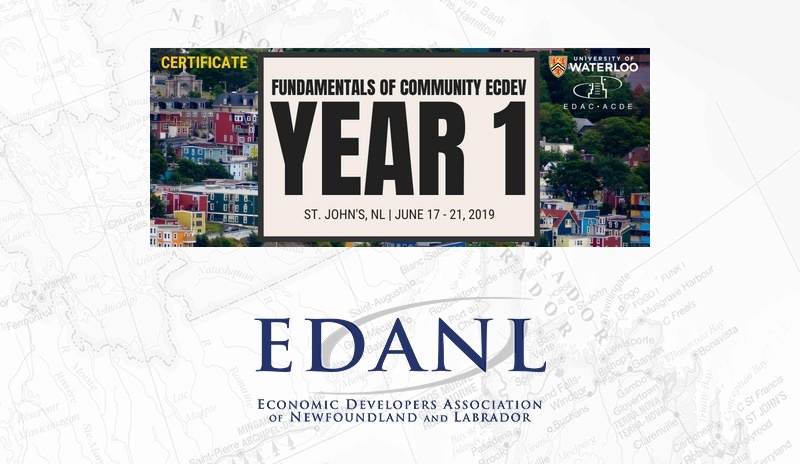 The Economic Developers Association of Newfoundland and Labrador (EDANL) announced the winners for the first ever Economic Development Awards of Excellence during its Annual General Meeting and Conference on Thursday, June 14th. 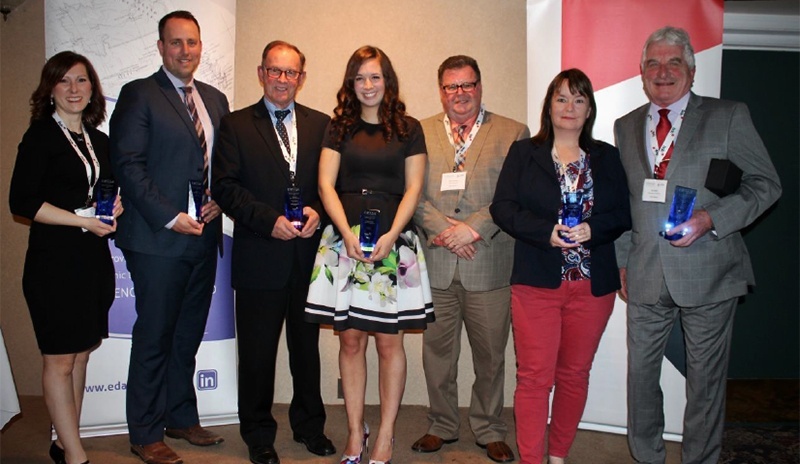 The awards, sponsored by the Business Development Bank of Canada (BDC), were presented at the Mount Peyton Hotel in Grand Falls – Windsor in front of an audience representing municipal, provincial, and federal government along with regions, organizations, and companies from across Newfoundland and Labrador and the country. 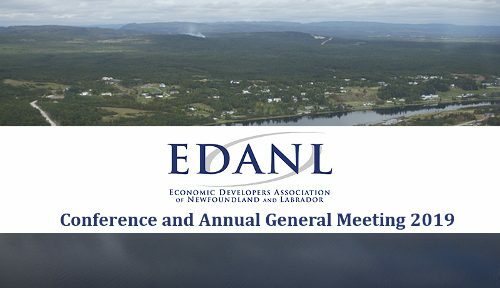 EDANL is the provincial organization of economic developers pursuing excellence in the field. 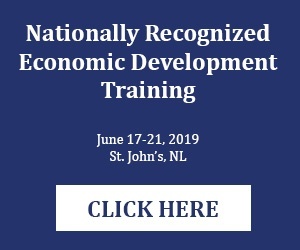 The Association’s mission is to enhance the professional competence of Economic Development Officers; to advance economic development as a distinct, recognized, and self-governing profession; and to contribute to the province’s economic well-being. SucSeed is the first Enactus Memorial spin off company. SucSeed hydroponic systems provide educators with a hands on approach to educating students on agriculture, food security, and healthy eating. Through a three-month, hands-on curriculum, students work with the hydroponic systems to apply their skills while meeting curriculum outcomes. To date, systems have been used in Science, Math, Entrepreneurship, and Life Skills classes. SucSeed systems are operating in over 200 classrooms coast to coast in all grade levels, and are an affordable addition to any classroom. SucSeed has already launched initiatives with: the Association for New Canadians; company lunch programs; correctional facilities; daycares and schools; research ships; restaurants; retirement homes; Ronald McDonald House; and youth groups. 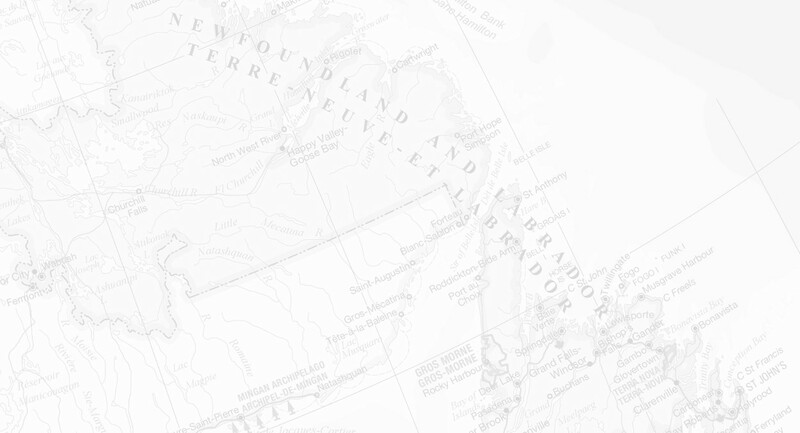 SucSeed currently operates food sharing cooperatives in 25 communities in Nunavut and 8 communities in Labrador. Corporations like McCain Foods and Tim Hortons have also partnered with SucSeed and helped it get its systems into soup kitchens, classrooms, community centres and even into a research ship that travelled all around the country. The Basque fisherman were the earliest European settlers in Placentia during the 1500s and known for giving Placentia its original name. Today the Basque nation is approximately 2.2 million and straddles parts of north-central Spain and south-western France. The Town of Placentia recognized the potential for cooperation in the fields of education, economic development, tourism, fine arts and culture between the Town of Placentia and the Basques. In 2016, the Town of Placentia sent a delegation to Spain to explore twinning with the City of Plentzia, Basque Country. From there the foundation was laid for a twinning between to the two towns to preserve and promote centuries of shared history. In 2017 the Town held an official twinning ceremony in the Town Square of Placentia with a delegation from the City of Plentzia, along with 100 passengers from a cruise ship from Basque country and North America as well as residents of the Town of Placentia. The event was the first of its kind held in Placentia with the program being delivered in English, French, Spanish and Basque. It was also filmed for broadcast in Europe. Coinciding with the official ceremony the Town of Placentia also partnered with the local high school, theatre troupe, many local community organizations, the Basque Associations in Saint Pierre et Miquelon, Spain and France to build upon the Basque spirit in Placentia and offer a Fête Basque. This festival was hosted by the Town of Placentia in July of 2017. It included a delegation of 80 people from Basque Country, Quebec and Saint Pierre et Miquelon as well as locals and tourists. It included a traditional Basque meal, demonstrations, Basque force games, music, dance, local and visiting Basque art exhibit, local performance of Basque vignettes and the commencement of the rowing excursion from the Placentia to Saint Pierre. The Town of Holyrood presented the development associated with a commercial site known as the Stores at Holyrood; a cold ocean research & innovation hub known as Oceana and a 50 acre industrial park known as Blue Industrial Place as the BLUE OCEAN INNOVATION VALLEY to capitalize on the total development in the area. These three developments are occurring in the area of Liam Hickey Drive in the town and carry the ocean sector theme which they have been promoting. The goal is to attract new investment and business development in the area. The message is clean, clear and friendly. They want business to know the Town of Holyrood is open for business and is user friendly for those businesses who want to locate there. The interest generated from the marketing strategy has been very positive. The 50 acre park is bought and is now working on road development with a number of new business interests waiting to access the property. The Stores have seen the opening of an Orange Store/ North Atlantic Gas Bar and Tim Hortons as of May 18th 2018 and Oceana has several research companies waiting for access to establish office and data collection base. They are also negotiating with several other new businesses who are interested in space and are now working toward purchase sale agreements. Formerly known as the Argentia Management Authority, the organization’s board of directors and management made a strategic decision to rebrand with a specific focus on it’s key asset, the port. With the assistance of a professional agency, they embarked on an aggressive initiative that resulted in rebranding to the Port of Argentia. The primary goal of this rebranding project is to increase the profile of the Port of Argentia for the purpose of economic development in the Placentia region. This effort is measured by the awareness of the Port and its key features in support of marine related industries including international container shipping and offshore oil. The Port of Argentia has benefited from this rebranding initiative in several ways; including, industry recognition in the port community; more prominent visibility in the business community; and, by virtue of its impressive list of tenants and port users, the Port is seen as a key marine supply base to the oil and gas industry. Argentia is the host construction site of the Husky Energy & partners Concrete Gravity Structure build in support of the West White Rose Project. Michelle Simms is a passionate, agile and experienced leader whose contributions to the entrepreneurial community – particularly the technology sector – have been realized but not truly recognized. A modern-day renaissance is happening in the start-up ecosystem and Michelle is one of its brightest torch bearers. Michelle was hired by Genesis Centre in 2002 as a Business Analyst and grew into the role of Vice President. Each role came with a more successive path towards reaching outside of Genesis and into the community of entrepreneurs to understand what the ecosystem needed. After working directly with over 100 successful companies, Michelle was promoted to the role of President and CEO and quickly developed a renewed vision for the organization which centered on the community of entrepreneurs. Working with partners in academia, government and industry, Michelle set the organization on a path to deliver on our mandate (and mantra): “We exist to help build amazing companies.” The past three years have been transformational for Genesis and the ecosystem under Michelle’s leadership. They have seen Sector Growth, industry Growth and increased diversity in the entrepreneurs and companies that they work with. She initiated a Women’s in Tech Group that now has a membership of over 100. Michelle is very involved with community and province volunteering with Ocean Advance, a number of national boards including Canadian Association of Business Incubators, Canadian Digital Media Network, NACO’s Incubator Advisory Board and locally support Junior Achievement and Junior Team Canada and the St. John’s Board of Trade. Kai has decades of experience and passion for his craft. His profession has taken him from Newfoundland & Labrador to Saskatchewan and to the most prestigious role for any economic developer in this country, president of the Economic Developers Association of Canada. Kai is a strong advocate for continuous learning and urges economic developers to always be searching for their next educational pursuit.